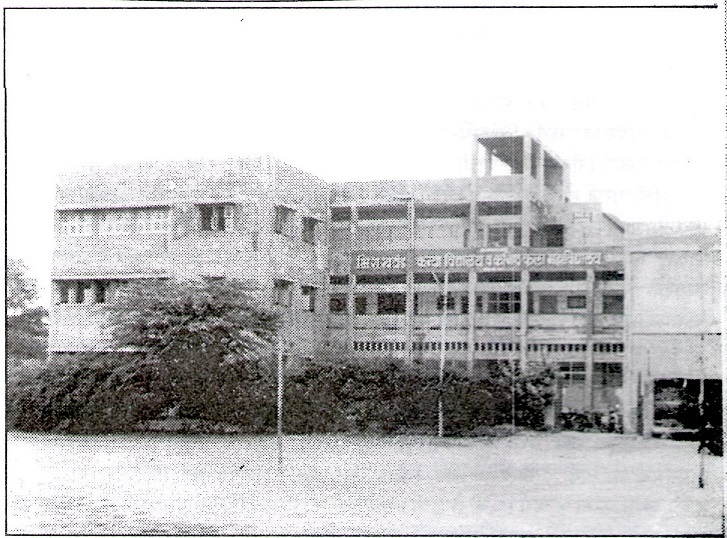 Hind Seva Mandal Ahmednagar is a leading educational Institution which is heading to the completion of silver jubilee after centenary. Established in pre-independence era this young plant has grown into a sprawling bunyan tree. A branch of the same bunyan tree is our B.R.Khatod Kanya Vidyalaya and Jr.College Shrirampur. We have celebrated Golden jubilee recently and the Vidyalaya is headaing towards the diamond jubilee. Discerning the significance of women’s education the contemporary leaders of the instiution opened a school solely for girls and that has been proved a school imparting most secure, prestigious and quality education to girls in the town of Shrirampur. Our school has been carryring forward the legacy of women’s education meted out by Krantijyoti Savitribai Phule and Maharshi Karve. This mission has been supported by the runners of the Hind Seva Mandal. As a result of which we could realize the dream of girls’ education. Having the colossal strenqth of as many as 2000 girls of 5th to 12th class the School has been recognized as SSC and HSC Board’s authorised exam centre. We have resolved to start Science stream in Junior wing as well as Arts stream in Senior College. We organise NTS , NMMS , MTS , CV Raman, Bharati Vidyapeeth Scholarship , Geography, English talent search Exam and other extra curricular exams. Our girls have won the national Scholarships in NMMS exam. Our School is an anthorized centre of Aakhil Bharatiya Gandharva Mahavidyalaya and various Students have obtained the degree of Sangeet Visharada. Our school organizes one day camps as well as long trips by bus, train and plane also to give the life experiences complementary to educational development of students. In view of all-round development of the students the department of Music, Sanskrit language, Computer, Arts ,sports. And Home Science, NCC, Scout Guide are also active. The School is boastful of well equipped Science lab and the library enriched with number of books. The vidyalaya’s evergrowing progress in academic result is a feather in the cap of the Hind Seva Mandal. A Large number of ex-students are boastfully working in the various fields of life. They have illuminated the name of the School and on this occasion I assure to carry forwad the same legacy.